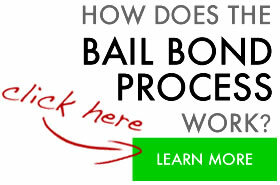 Orange County Bail Bonds 24/7 - Get Out of Jail Now with Premiere! How does the bail bond process in Orange County work? In Orange County bail bonds may be posted 24 hours a day 7 days a week. Depending on what jail the person is in the release process can take between 10 minutes and 10 hours. If a person is a the Main Orange County Jail it could take them upwards of 18 hours to get processed in and out. The average booking time is about 4 hours and the average release time is about 6 hours after a bond is posted. Cost can vary but usually falls between 8% and 10%. We know bail can be expensive, that is why we have a variety of payment plans to fit your needs. How long does it take to get released after a person posts a bond? Again depending on the jail it could be 10 minutes or 6 hours. Some of the smaller city jails simply book people and are released within minutes after receiving a bail bond. OCJ, Theo Lacy and The Farm take up to 6-8 hours. In Los Angeles, release times can vary depending on the city the arrest took place. The bond is good forever or until the case is adjudicated. Meaning once the person has been sentenced whether they are innocent or guilty or charges are dismissed the bond will be exonerated. A cosigner is a person that promises to pay the bail bond company if the person they post bail for does not appear in court. If a person fails to appear thats ok as long as they go back into court. If the person does not appear and is running or skipping bail then the cosigner is encouraged to help us find the person or pay the full amount of the bond. Which court will we go to? 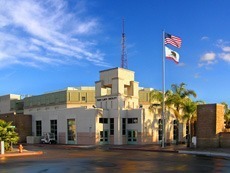 In Orange County bail bonds can be posted at most of the jail and all four Courts. Depending on where the person was arrested in will determine which court they will go to. The Criminal Courts are located in Westminster, Fullerton, Newport Beach and we offer Santa Ana bail bonds near the courthouse. When the person is released from custody we will give them their court date and their location. We offer many cosigning options for your convenience. Email, Fax, Online, At our office, at the jail. When it’s a smaller jail we usually recommend to meet there since the person is usually released within 15 minutes. The easiest way to post bail is online, we provide you a link to the documents you need and you can complete it online and send it back online. There is no need to print it. Some people do it from their cell phones and tablets. How do I know if a Bail Company is licensed? The California Department of Insurance is the licensing and regulatory agency for the bail industry. You can check their website and type in the license number or the name of the bail agent you are considering hiring. Our Orange County Bail Bonds firm is ready to help you around the clock! We are available 24 hours 7 days a week. We underwrite many different types of bonds in including: 1270.1 holds, nebia hearings, federal bonds, 1275 hearings, indictment bonds, appeal bonds and fugitive bonds. We serve all of the Orange County and L.A. County Jails and can write Bail Bonds Los Angeles 24 hours 7 days a week. For a Professional Agent call now toll free 800.662.0056. Our caring Agents are standing by waiting for your call. With over 20 years experience we provide service that is second to none. At Premiere you will speak directly with a licensed, bonded and insured bail agent. We do business in: Santa Ana, Huntington Beach, Anaheim and La Habra. We understand this is a difficult time and difficult process to go through. We make it as easy as possible with the least amount of burden to you. We believe in team work, so often times you will have two or three of us working on your case at the same time. This helps to expedite the process as quick as possible with the least amount of stress. Premiere’s staff can help you throughout Buena Park, Dana Point, Fountain Valley, San Clemente and Tustin. All of our clients are treated with a professional courtesy and the respect they deserve. We understand this unfortunate incident may have happened at an inconvenient time. That is why we offer many different services to meet your needs. Bail by Phone, Email or Online. Come to us or we can come to you. We are completely confidential and discreet. We can recall an Orange County Warrant without you having to turn yourself in and we will set a court date for you. For a L.A. County please visit our Los Angeles bail information page or just call us directly. Most Jails take less than 30 minutes to release a defendant after they have received the bond from a licensed bail agent. Only the O.C. Jail, Theo Lacy, and The Farm or James Musick take 4-6 hours to release a person. The city police departments and jails take between 5 and 30 minutes to release an inmate. Remember when hiring a bondsman always ask if he or she is a licensed Orange County Bail Bondsman. The internet has allowed bondsman from other states to advertise their services here and all over the State of California while misleading the client. It is also important to ask for your bondsman’s License number. Ours is Insurance License BA1840355. The CEO of Premiere is a member PBUS, CBAA, LABAA and Co-founder of OCBAA. He is also a published author of Bail Bonds 101 “The Complete Guide to Owning and Operating a Successful Bail Bond Company”. Mr. Cook has taken several advanced courses and has obtained a level 5 Certification as a Bail Agent and continues to educate himself and his staff with customer service skills and professionalism to guarantee that Premiere’s clients are always satisfied. 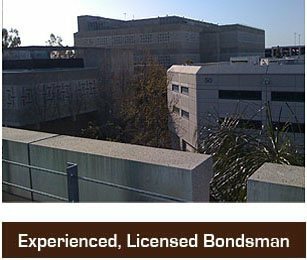 If you need the assistance of a reputable Bondsman please call toll free and speak directly with an Agent that will answer any questions you have about bail in the O.C. or anywhere in California. Sean has been writing bonds in Orange County since 1992 and is the President of the OC Bail Agents Association. Orange County has roughly 11 jails that allow you to post bail. Most of the time the other local police departments do not allow us to post bail, however we had successes in doing so but that depends on the client calling in and moving quickly. Most of the time people will be transferred to Main Orange County Jail off of Flower St. in Santa Ana. Once the person is booked in to the system they will be ready for bail. Call us 24/7 with any questions you might have. Call us NOW at 800-662-0056. Very professional, quality service! We can't thank you enough. Can’t find the Orange County Jail Inmate you are looking for? We are conveniently located close to the Jails and are available 24 hours 7 days a week.